Mounts to a single gang/double gang box, a 9 cm (3.5 in.) octagonal box, or a 10 cm (4 in.) square box. The dimensions are 12 cm x 16 cm x 4 cm (4.7 in. x 6.2 in. x 1.5 in.). 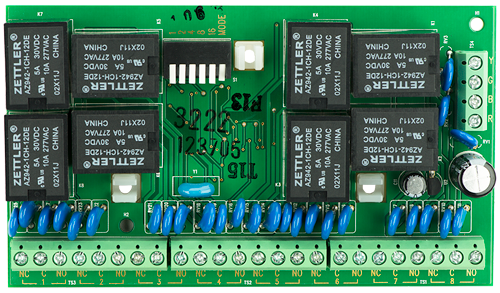 Accommodates wall tamper switches on the modules.